Master of all you survey! 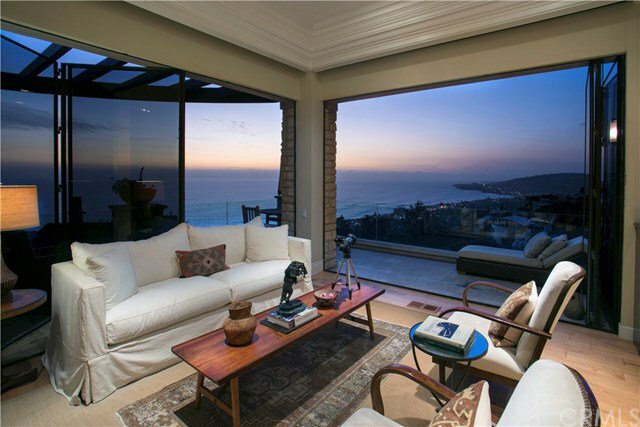 Ideally located to capture a sweeping and dramatic coastline view, 2470 Juanita Way presents a unique opportunity to acquire a newer, architecturally distinct Laguna Beach residence. 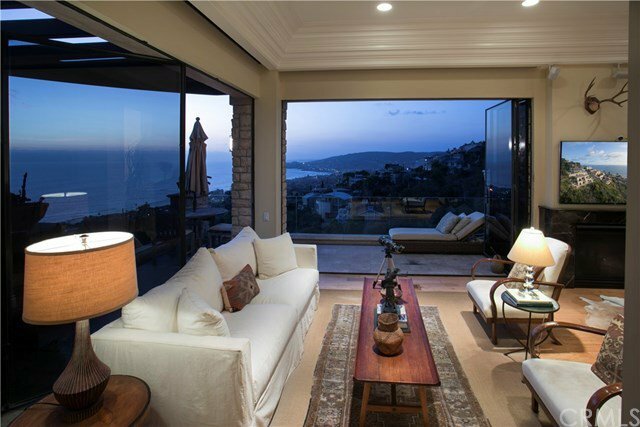 Finished in 2008, this John McInnes designed home frames ocean views from every major room in a very livable floorplan. 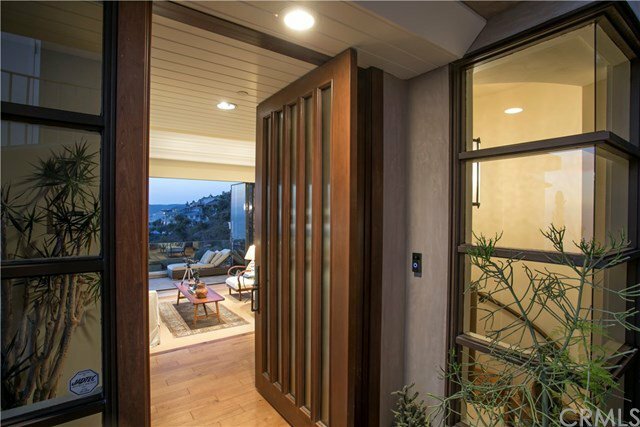 Soaring ceilings, along with tri-fold glass doors that completely open the living space to the outside create a feeling of volume and spaciousness. The home is finely finished throughout, and maintained fastidiously. 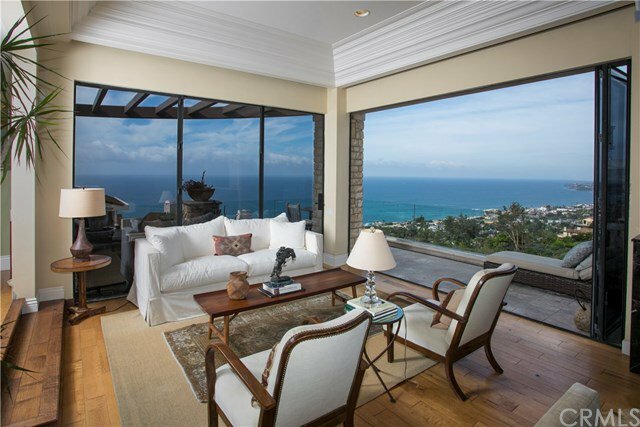 The main level includes a sizeable great room (opening to the massive ocean view and decks), kitchen and a main level master bedroom. A walkout rear patio and small yard are off the main level. The lower level includes secondary bedrooms with views, each with en-suite baths, and a very large storage area is finished and currently outfitted as an office. 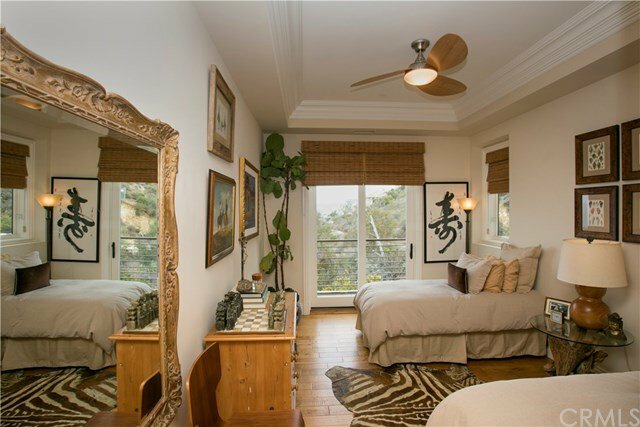 The view is mesmerizing – front row, and across hilly fields to whitewater and the coastline and Catalina Island. Large enough to be used as a primary residence, but designed to be easy to 'lock and leave' as a vacation home, it doesn’t get much better than this!